Why Study English at EC Boston? Why Study at EC Boston? Boston, one of America’s oldest and most historic cities, is the perfect place to study English as an international student. That’s because Boston itself is international. People young and old from all over the globe are attracted to Boston for its unique setting and important cultural landmarks. Convenient public transportation and great entertainment are pluses too. Check out the sports, the arts, the music, the food – this old city never feels old! You’ll make memories and friends to last a lifetime. 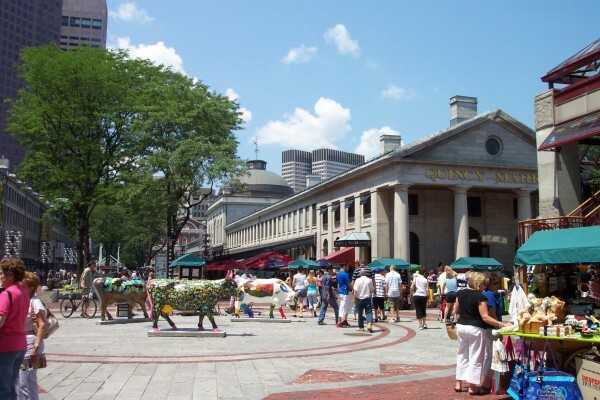 EC is right in the heart of it all in Faneuil Hall Square. Find our more at our premier English school in Boston for International Students.